Here to help families with burial, cremation, and aqua cremation. We are here to help. The passing of a family member or loved person is very personal and very difficult. To compound the difficulty there are many decisions that need to be made in a relatively short period of time. Most people have little or no experience with making these decisions or with taking care of the many details that need to be addressed. We cannot take away the pain of your loss, but we can ease the difficulty. Our job and number one goal is to help you and your family navigate through this stressful time. We will use our many years of experience to assist and guide you in this process. 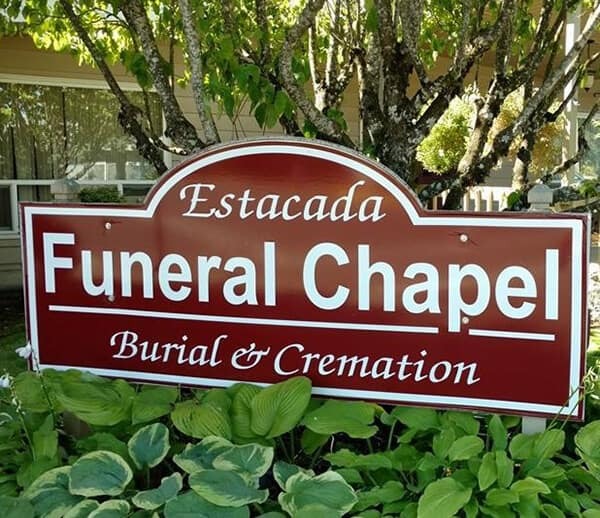 Estacada Funeral Chapel has been helping families pay tribute to their loved ones for nearly 100 years. We value the essence of this beautiful, rural community, which is why we have chosen to live here as well as work here. We are a small family business that strives to put the needs of our customers and community first. Rob Gaskill is the funeral director and owner at Estacada Funeral Chapel. Rob has been a funeral director for over 34 years. His personal mission is to help families honor their loved ones in ways that celebrate life while making it possible to say goodbye. Rob is experienced at working with all faiths and beliefs. Rob is assisted by his wife, Kary. Rob and Kary live in Estacada and are very active community volunteers.